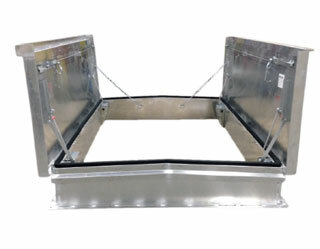 All Steel Construction Personnel Roof Access Hatch, 60" x 132". Lucas 8660 Non-Curing High-Solids Butyl Sealant. For Metal Roof Seams. 85% Solids, Non-Skinning, with Primer-less Adhesion to Kynar type paint finishes. White Color. Semi-Self-leveling. 10 oz/tube. Price/Tube.